Members of the Home Builders Association of Southwest Louisiana can take advantage of several insurance programs which offer significant discounts over other plans. 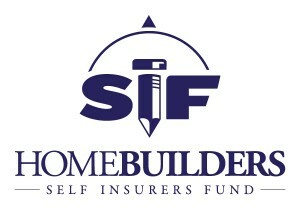 Save money on Workers’ Comp through the Homebuilders Self-Insurers Fund (SIF). Since it started in 1979, the SIF has returned nearly $70 Million in dividends to qualifying fund participants. Find out how you can get your first year of HBA SWLA membership dues FREE by visiting www.lhbasif.com. Builder and remodeler members can also take advantage of the LHBA General Liability Trust. Since its inception, the GL Trust has returned $8 Million in dividend distributions to qualifying members. For more information visit www.lhbagltrust.com. LHBA’s Builders Risk Program offers substantial savings over other programs. Depending on where you build, your savings could range from 20%-25%. In just over 6 months, one LA builder saved over $16,000 in insurance premiums . Ask your insurance agent about LHBA Builders Risk today! All LHBA member agencies may handle this program. For more info, visit www.hbabuildersrisk.com.